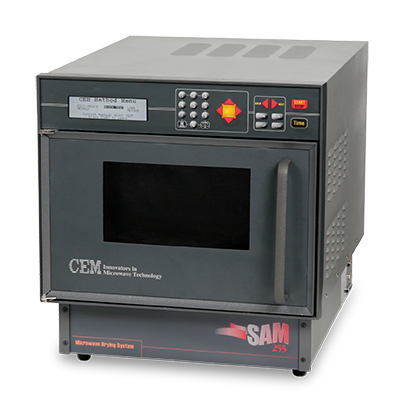 The SAM 255 is a unique instrument for rapidly drying samples up to 1kg in size. It can be used for moisture analysis or as a preparatory step for further analysis. Drying times are reduced from hours to minutes with the precision of a conventional oven method. Almost any material can be dried using microwave energy as the volatile component can be water or a wide range of polar organic compounds. 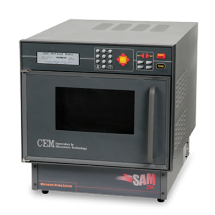 The system also features a unique design avoiding problems with reflected power that prevents complete drying of samples in conventional microwave ovens.